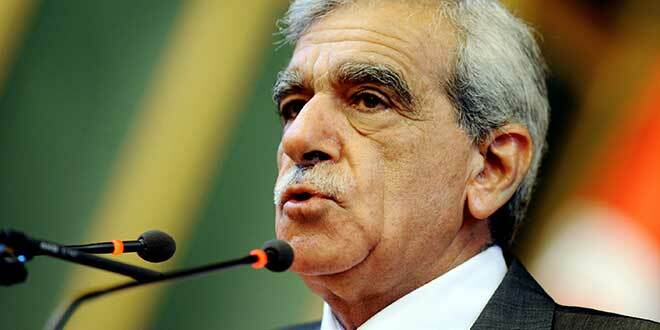 A Turkish court on Thursday ruled to arrest Ahmet Türk, a former deputy and also co-mayor of the Mardin Municipality, who was detained on Nov. 1 on charges of membership in a terror organization. Türk, who was recently removed from his post by the Interior Ministry, with the government appointing a trustee to replace him, has played an active role in efforts seeking to find a solution to Turkey’s longstanding Kurdish problem. Turkey has stepped up its crackdown on Kurdish politicians in recent months. The Turkish government has arrested a total of 10 deputies from the pro-Kurdish Peoples’ Democratic Party (HDP) in the past couple of weeks and has seized the administration of 28 municipalities, jailing 37 Kurdish mayors in eastern Turkey. The developments have attracted widespread criticism from the region and Western countries.